The United States limits the number of people who may enter the United States – either temporarily or permanently – by imposing limits (or caps) on the number of certain types of visas that will be issued during a given year. Because the number of temporary and permanent visa petitions is almost always higher than the limit, the U.S. 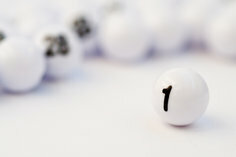 Citizenship and Immigration Services (USCIS) conducts lotteries and random drawings to decide which petitions to process. Other types of visa petitioners are not subject to random drawings but may have a waiting period before their petitions will be processed. Visa caps are different from the visa lottery, which is discussed below. To understand how a visa cap works, it helps to look at the case of the H1-B nonimmigrant worker visa. This is one of the most popular types of visa. In 2009, the USCIS received more applications on Day 1 of the fiscal year than the cap allowed (65,000). To create a fair system of selecting which 65,000 applications would be selected for further processing, the USCIS selected applications by using a computer-generated algorithm. A random drawing may also occur if the USCIS receives more applications on the last day of processing than it needs to meet the cap. For example, a drawing may be held if the USCIS received 64,000 petitions during the first week of the year and needed only 1,000 more petitions to reach the cap. On the last day, the USCIS receives more than 1,000 petitions. In this situation, the USCIS would put into one group all petitions received on that day, and select the final 1,000 petitions based on a computer-generated random algorithm. Petitioners whose petitions are not selected may have to re-apply the following year. The only category of family member visa that allows unlimited applicants is the immigrant visa for immediate family of a U.S. citizen. All other types of family member visas have a cap, though they are not processed via random selection. Instead, the petitioners are placed into a queue and assigned a waiting time, after which their visa petitions will be processed. Under the Diversity Visa Immigration Program, the United States makes available up to 55,000 permanent visas every year. Applicants must meet strict eligibility requirements and must be residents of countries with historically low immigration rates to the United States. The Diversity Visa Application Program accepts applications for a limited time period each year. Once the application period closes, the USCIS holds a lottery to select which applications will be selected for further processing. The diversity visas are allocated among different geographic regions, with no more than 7 percent of the visas available to applicants from any one country.